Our professional residential movers are committed to providing an exceptional experience from start to finish. Moving from your Bay area home? Whether it’s a new job calling you to the other side of the country or you just bought your dream home across town, Upline Moving can simplify the house moving process with our comprehensive, affordable services. Since 2008, our house movers have built a solid reputation for excellence one mile at a time—and we cover more than 81,000 miles a year! That’s not our only impressive number. We help 2,345 clients each year and have moved nearly 200,000 items. Also, 70% of our clients come back as repeat customers. Why do these numbers matter? They speak to our experience and our success in earning the trust and satisfaction of our customers. If you’re planning a local or long distance move from the Bay Area, let our family-owned business show you the Upline Moving difference! Exceptional Household Movers. Guaranteed Prices. Our Pricing: Some household movers provide an estimate that could be wildly different than the number on the final invoice. That will never happen with Upline Moving. We come to your home and inventory your belongings before we ever provide a price. That allows us to offer guaranteed pricing, so there are no unpleasant surprises on the final invoice. Our Services: Another difference in the way we do things is that we don’t have a set moving package that you have to purchase. Instead, we discuss your needs, your budget, and your timeline, and create a custom moving package that perfectly suits your situation. 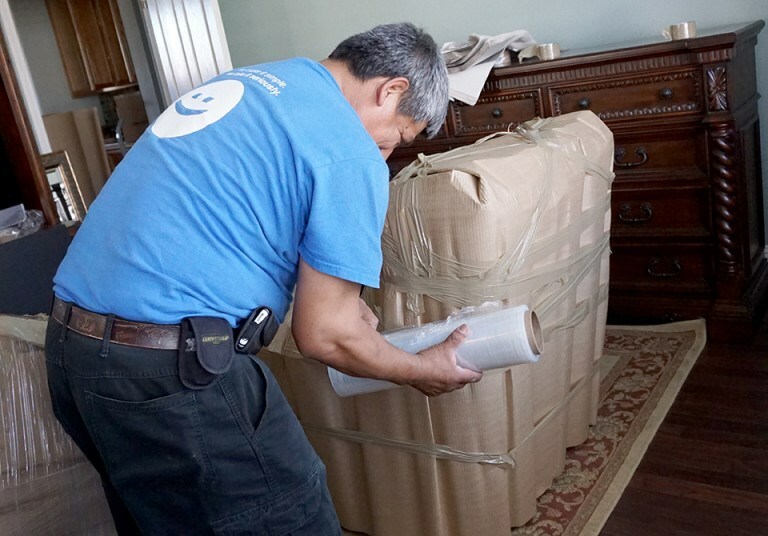 Our Movers: The residential movers we send to your house aren’t temporary workers or day laborers. Instead, each was selected based on their skills and experience and then put through a comprehensive background check before they are ever sent to your home. That’s what we’d want if household movers were coming to our house, so we provide the same for our customers. You have to trust your residential movers with everything you love most, so choose the moving company with a proven reputation for caring, courteous service. Call Upline Moving today, or fill out our simple online form now to learn more, reserve your moving date, and schedule a no-cost, no-obligation moving quote.